I’m not Irish. My friend Frank, on the other hand, is very much Irish. So when he came to visit all the way from Maine and to attend Milwaukee’s 35th annual Irish Fest last weekend, I agreed to accompany him. He offered to pick up the tab for both of us to hear four days of Celtic music and to drink beer. That was an offer I couldn’t refuse! I had never gone out of my way much to hear Celtic music, but it turned out to be an immensely entertaining experience and an educational one as well. I heard three songs in particular that connected with my past musically. It would be a challenge to count how many times the song Whiskey in the Jar was performed at Irish Fest. Hearing it covered in various ways by different bands wasn’t unusual as it’s one of the most widely performed traditional Irish tunes. In general, the song is about a highwayman who is betrayed by his lover. (As Frank explained to me, eighty percent of traditional Irish songs end badly for one or more individuals involved.) While the precise origin of Whiskey in the Jar is unknown, sources suggest the song can be traced back to the 17th century. It’s been recorded by numerous artists since the 1950s. In addition to traditional versions by Irish folk groups like the Dubliners, for whom it became a signature song, and a beautiful acoustic rendition by the Grateful Dead’s Jerry Garcia, more amplified covers of Whiskey in the Jar have been successful hits for rock bands Thin Lizzy and Metallica. My favorite version at Irish Fest was performed by an innovative Celtic pop band, the Screaming Orphans, pictured here with Frank and me after their show. More than forty years ago I picked up a Quicksilver Messenger Service album entitled Shady Grove. Quicksilver was a psychedelic rock band from San Francisco. 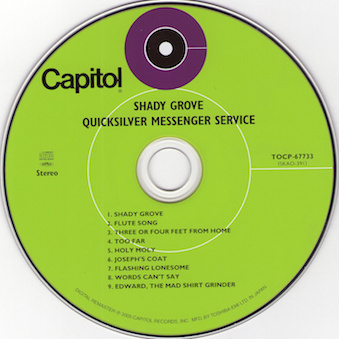 Shady Grove was their second studio album and opened with a rocking version of the title song. At that time, I didn’t realize Shady Grove was an 18th-century American folk song with more than 300 variations in its lyrics. At Irish Fest I learned it’s a standard in the repertoires of folk, Celtic and bluegrass musicians all over the world. When a three-piece acoustic band, Socks in the Frying Pan, played that unmistakable melody in Milwaukee, I thought of the Quicksilver album from years ago. In 1969 I would listen to a song called Dirty Old Town from Rod Stewart’s first solo record, released just after his stint as vocalist “extraordinaire” for blues-rock guitar icon, Jeff Beck. While I’ve always enjoyed the song even to this day, I didn’t know much about it. When I heard the Kilkennys perform it last week at Irish Fest, I wanted to know more. Dirty Old Town is a British song written by Ewan MacColl in 1949. It was popularized in the 60s by the Dubliners and has been recorded by artists of many other genres since, including Stewart in 1969 and Betty LaVette in 2012, another recording I have. Even a Celtic punk band, the Pogues, covered it in 1985. 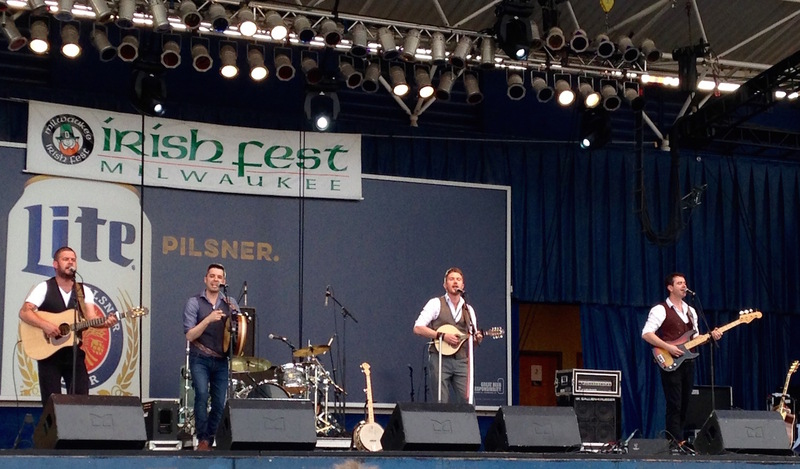 At Irish Fest, the Kilkennys, pictured here, nailed it in its native genre better than any other version I’ve heard. 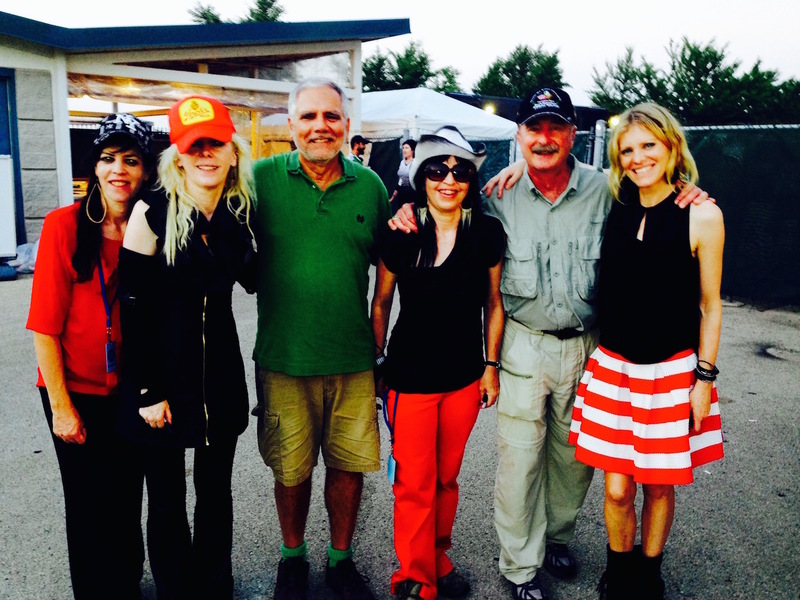 I’ve been to Milwaukee’s Festa Italiana. That’s my heritage. While the Italian festivals are happy, colorful celebrations, filled with music, dancing and food, I confess to having had more fun at my first Irish Fest. Sláinte, mama mia! Grazie, Frank!